Mechanical seals for the automotive sector | Markets | MeccanotecnicaUmbra S.p.A. The field of application of Meccanotecnica Umbra also reaches the Automotive sector, for which appropriate ranges of mechanical seals are planned and designed. 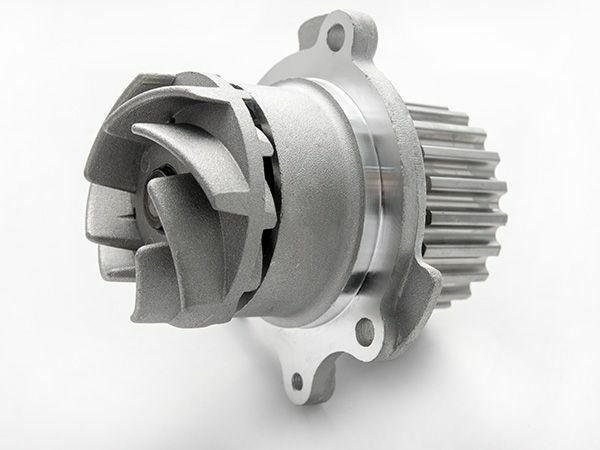 “Specifically, with regard to the automotive sector, mechanical seals are produced to be inserted inside the cooling pump of the vehicle motor. For this reason it is fundamental that the isolation regime of the mechanical seal is at its highest level to allow the correct operation of the cooling pump for a motor vehicle. Furthermore it is very important that the seal can guarantee prolonged isolation, to avoid malfunctions that could have repercussions on the efficiency of the motor vehicle. For all these reasons, Meccanotecnica Umbra has studied a special type of mechanical seal used in the automotive sector. Characterised by its long life, high reliability and silent pump, the "automotive" mechanical seals are produced with a particular combination of materials that have undergone lengthy preliminary studies. Even the seal rings are produced inside our production facilities following strict technical-qualitative procedures and appropriate specifications.